Roman Legionarius 1st Century AD. 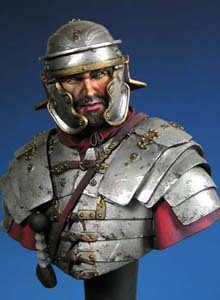 Finely cast resin bust - includes separately cast helmet, gladius hilt and lorica shoulder plates. Sculpted by Young B Song.